I feel like with all the blogs I’ve posted about the great Thailand adventure so far, you’re all going to get the impression that Thailand is just one big city. It’s not, not even a little bit. In fact, my favorite parts of the trip were far outside of Bangkok. 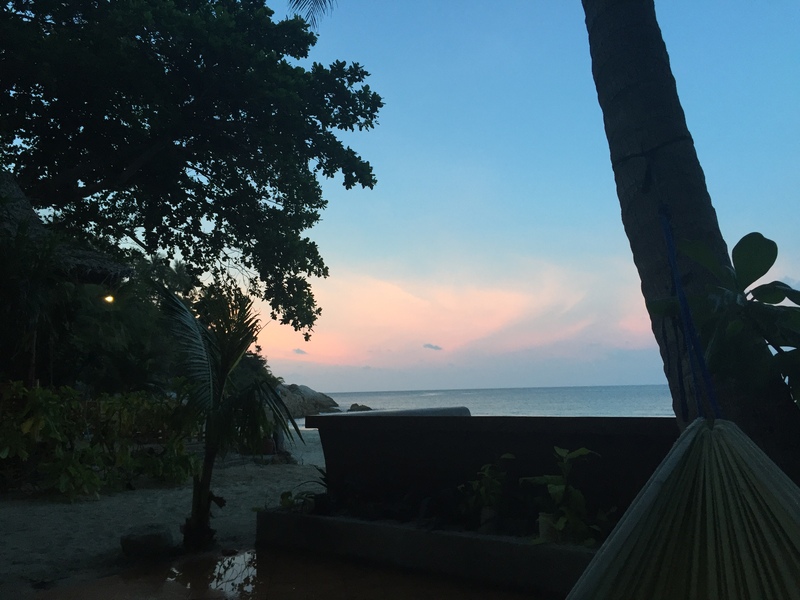 The husband and I were lucky enough to stay on a private beach in Ko Phangan for a few days. The views were absolutely breathtaking, and I spent a fair amount of time reading and plotting out new stories while lying in this hammock. The days were long, the naps epic, and the shower freezing. If I were ever to be lucky enough to be the sort of full time writer that had publishers breathing down her neck to complete the next bestseller, I would run away to Bottle Beach and write in a ridiculously inexpensive paradise. Seriously, breakfast was less than two bucks, and the room was $17 a night.